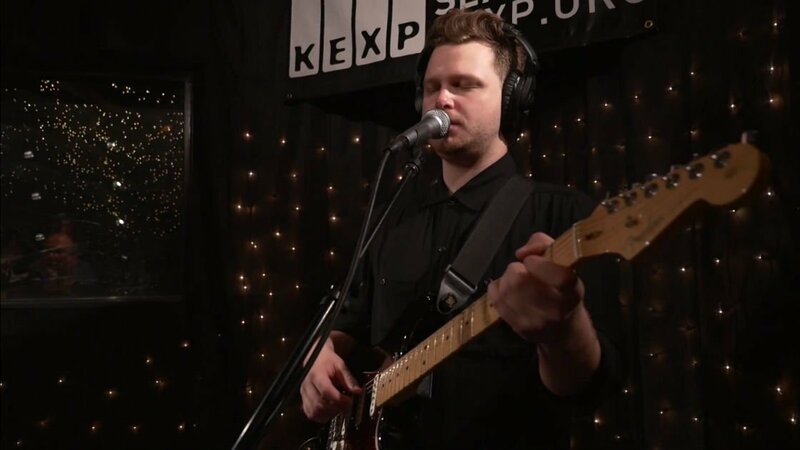 Yesterday, Alt-J appeared on KEXP for an interview and performance. A rolling drum line brought in "Every Other Freckle," followed by a synth-bass and a tremolo guitar lick, creating a steady jam. After finishing the song, the band went on to discuss life on the road with host Cheryl Waters. Unfortunately, living on the road wore away at bassist Gwil Sainsbury, causing him to leave the band earlier this year. Then, the group played "Left Hand Free" which featured catchy guitar riffs and an impressive keyboard solo by Gus Unger-Hamilton. Vocalist Jon Newman cracked up while singing the song's onomatopoeic lyrics. After the song, Waters talked to drummer Thom Green about his work with Miley Cyrus. Green says that Cyrus is a fan of the band and a sample of her song "4x4" is on their newest record. Next, they played "Bloodflood Pt.II," which showcased a dynamic between high vocals and a very low drum beat. This song had a more tranquil feeling than the previous two. Waters then talked to Newman about the inspirations of his lyrics, which span from a bloody scene in Alien to Reddit. On Reddit, Newman saw a post about a place in Japan called Nara, where deer were not hunted since they were considered sacred. Appropriately, the band closed with "Nara." Alt-J's newest album, This Is All Yours, is available on Amazon. For Alt-J's latest music, news, and tour dates, check out their Zumic artist page.